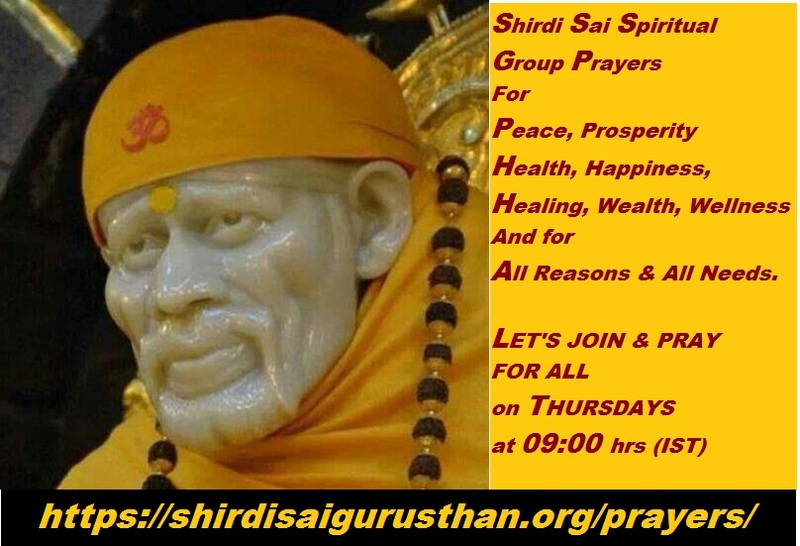 Our Beloved Sadguru Sainath, please accept our humble prayers on this Holy Day of Guruvaar. Baba, we accept whatever come to us. We do not seek the 'pleasant', do not shun the 'unpleasant'. We rejoice in everything that happen by reporting to You every moment that we are passing. With our sincere prayers, all that happened, all that is happening, and is yet to happen, all are for our best. 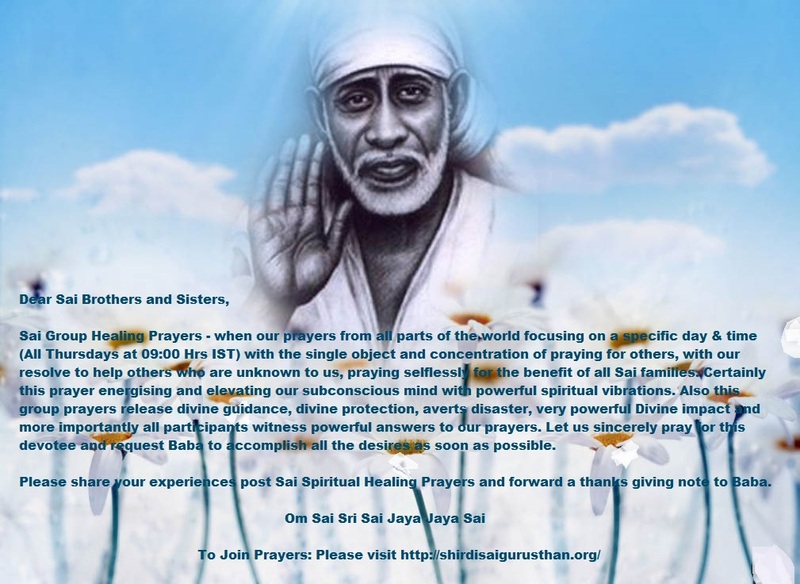 Baba, take our mind with You and make our ways safe and secure. 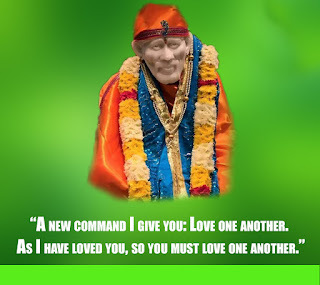 On this holy day, we start our prayers by reading your divine guidance from Shri Sai Samartha Satcharitra. But if anyone, who is a spiritual seeker, applies it he will ruin himself completely. Baba's words: "He will reap as he sows " are invaluable, in that respect. 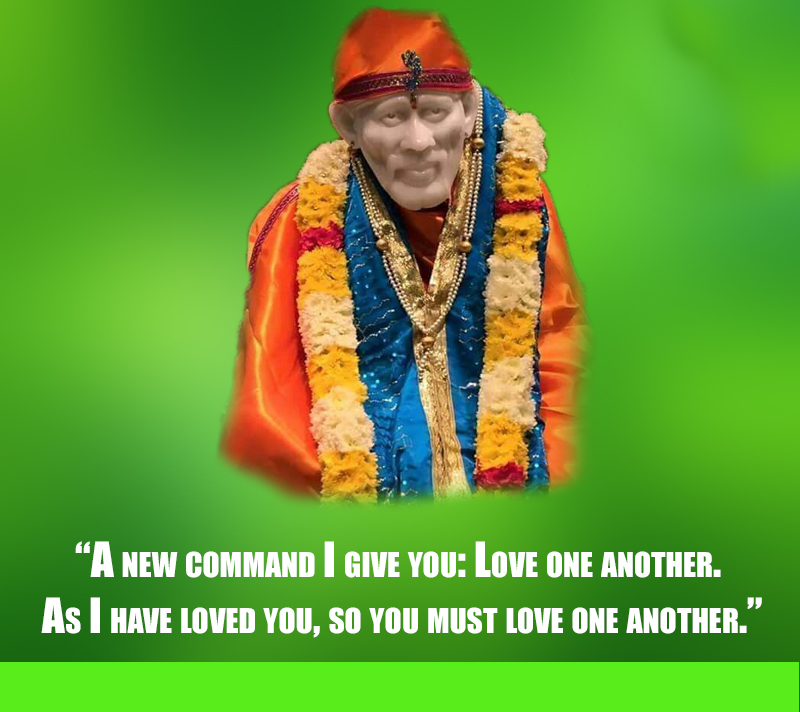 Some other words of Baba will bring about tremendous happiness. If only one has the warmth of faith and devotion, they will be deep-rooted in the heart.
" I do not reside in one place. I am present in the waters, on the land, in the woods, amongst the people and away from the people, in your own country and in foreign lands, in the skies and in the light of the sun. I have taken this human form to remove the misconcept of those who consider me to be present only in this body of three-and-a-half arms length. Those who sing my praise continuously, day and night, they are themselves replicas of my inner self without any differentiation. If sweetness can be separated from jaggery, if the ocean can be separated from the waves, if the eyes can see without light, then only can my simple devotee be separated from me. He, who definitely wishes to escape the bonds of birth and death, should follow the path of righteousness very meticulously and be always tranquil. Such a person should abandon harsh words; should not pick on others' weaknesses; remain engaged in good acts concentrating on one's own duties. Surrender your mind and heart to me. Remember me continuously. Do not bother about your body and leave it to itself. Such a person need not fear nor have to concern himself about the three-fold purification. He who looks to me with undivided attention, praises me and listens to my praises is blessed. He, who has no other desire except me, he only will reach the Supreme Self" .
" Take my name and surrender to me " was told by him to everyone. 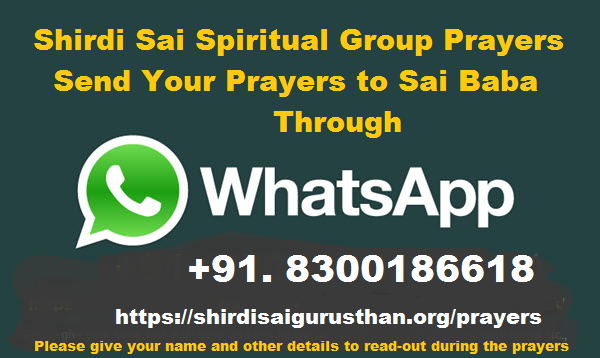 I bow down to Sree Sadguru Sainath.